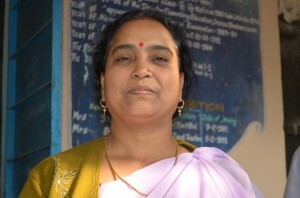 Pratima Nanda, Headmistress Balaram Tripathi Memorial School, Padmabati, Nayagarh has witnessed many a positive impact of mid-day meal on children. She talks about them very enthusiastically. Pratima Nanda HM talks on impact of Akshaya Patra mid-day meal. Pratima has seen a myriad changes in the past few years. Earlier, when there was no provision of food, some children would carry lunch, some would go home to eat but a majority would just stare helplessly at the colourful lunch boxes. The inequality would often result in belittling fellow classmates which would end up in brawl. Akshaya Patra is providing hot and nutritious food to 1.3 million school children through its mid-day meal programme. The food is cooked hygienically and as per local palette. Teachers say that children love Akshaya Patra food and look forward to come to school. They have seen that it increases attendance and admission to school. At Nayagarh the food is served through model of kitchen where ‘Self Help Group’ of local women is created and trained to cook food in the particular area.